We’d like to thank you for stopping by NCTI, Northern Colorado Training Institute, Inc. We’re here to provide expert emergency training for a variety of scenarios along the Front Range, giving people proper instruction with everything from infant CPR classes to CNA training. Whether you are heading toward a career in medicine or are simply an individual who likes to be prepared for an emergency medical situation, we can help you get the medical certification you seek. Let’s take a look at the most popular classes we offer here at NCTI. No type of emergency lifesaving procedure is better recognized that CPR, or cardiopulmonary resuscitation. But as simple as it might seem to an onlooker, there are many aspects of CPR that need to be properly performed to make it as effective as possible. CPR is a last resort for someone without a pulse. And while the life might not be saved every time, the victim’s chances of survival are better if someone is properly trained. It can also help to reduce injury to the body if the person is saved. At the Northern Colorado Training Institute, we can provide your CPR training, whether you are interested in infant CPR, CPR recertification, or other CPR courses. What about BLS training? BLS means basic life support, and in most cases is just a synonym for CPR. But sometimes people are searching for a job candidate and use BLS as a means of conveying that they’re looking for medical-level CPR training. At NCTI, we can get you the BLS training that employers are looking for. Some people take first aid courses as a means of moving forward in their career. Others simply wish to be prepared in the event of an emergency, helping anyone who might need it (including their partner or children). No matter your reason for wanting to learn the latest in first aid, NCTI offers excellent first aid training so that you can enrich — and possibly save — lives. Interested in becoming a certified nursing assistant? (CNA). You’re not alone. The medical industry is booming, as is the nursing home industry. Taking CNA courses and getting certified can provide you with excellent job opportunities, whether you’re interested in becoming an RN or not. CNA certification varies by state, so if you’re moving here from someone else you might need to get certified in one of our CNA courses. We’ll get you all of the CNA training you need to move your career forward! 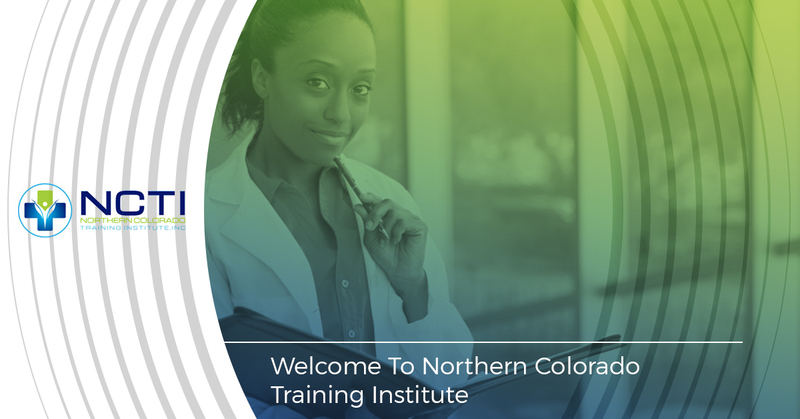 Northern Colorado Training Institute is here to help you get the best in first aid training, CPR certification, and CNA programs. We’re ready to help you make Colorado a safer community and to move your career forward. We look forward to hearing from you and seeing you in our classes!